Investing can be an intimidating financial process, especially when you’re not an investment advisor expert. But if you follow the steps outlined below you will be well on your way to creating an investment portfolio detailed to your personal wants and needs; one that you can comprehend even without an economics degree. The first step to take when deciding to invest your money is to think about why you want to invest in the first place. Are you saving up for a new car? Do you want to put a down payment on a vacation home? Is retirement on your mind? Whatever the reason, setting a clear goal will help guide your investment planning to benefit you long term. Make your goal SMART – When organizing an investment portfolio make sure to cover all the bases when developing your goal: it should be Specific, Measurable, Achievable, Relevant, and Time-specific. After you’ve set an investment goal, utilize the resources available to you – both in print and online – to educate yourself on how to best move forward with setting out a plan. Understand the timeframe – it is important to keep in mind that investments are supposed to be long term; they are not a get rich quick scheme. To put it in a positive perspective, remember that you are not just saving for the day you retire, but rather for the decades after you retire so that you can maintain your desired lifestyle. Understand the risk – make sure you know what you are getting yourself into. To know the risks of your investments consider timing, behavior and expectations for different types of investments. Additionally, it is advantageous to take a look at your own personality and propensity for risk-taking, as this will help you create a low stress plan. Once you’ve exhausted all resources available to you, it might be time to call in the big guns. Investment experts can be a wealth of information for you and should be utilized in your financial planning process. However there are a few things to consider when considering an advisor. How often are you available to meet? Are you my only point of contact? Can I see your resume and reference list? Do you have any complaints lodged against you? Asking these questions will provide you with the necessary information needed to see if an advisor is a right fit for you. If you can communicate well together and have a mutual understanding of your financial goals it is probably a good match. However, it is always a good idea to speak with multiple investment advisors before making a final, informed decision. What happens if I can no longer take care of myself? Asking specific questions like these, in addition to general enquires concerning your financial goals and plan, will allow you to gain a more comprehensive understanding of your long term finances. If you follow the three steps listed above when embarking on an investment journey, you’ll set yourself up for a more successful and inclusive long-term plan. 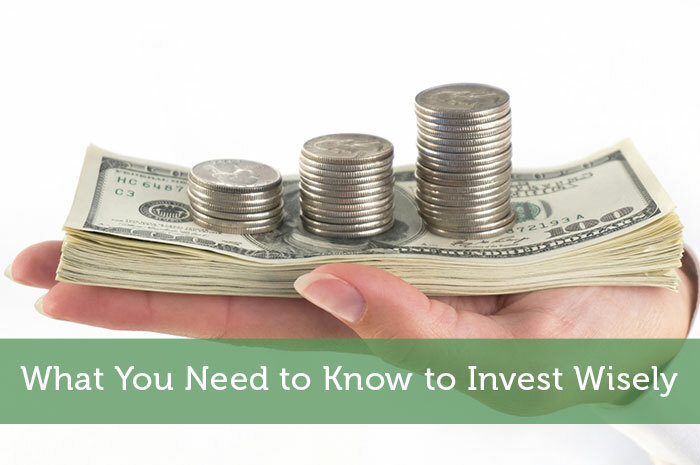 After all, you don’t have to have a lot of money to invest in order to invest wisely. Bio: Melissa is a recent graduate from Berkley with a major in finance. She is currently an intern at Credit Sesame writing for the editing team. She enjoys investing as a hobby and reading about new technology to help with personal finance. Asking and talking to a professional is very important if you are an amateur in investing. I think too many people believe just because they have read a couple of articles online they are a self certified expert. So far from the truth! !